Rating: 1 You're buying ad packs to eventually buy more ad packs...ad infinitum. The Good: You can join the basic membership site for free. 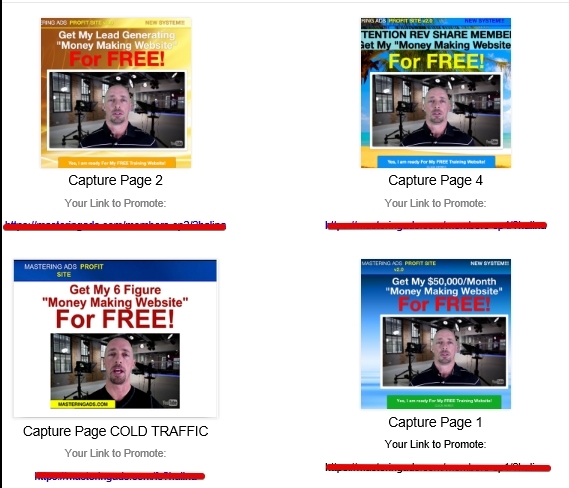 Ryan posts much of his training and marketing material on the free membership site. You are told up-front what you'll be buying and for how much. The Bad: The programs you sign up for and buy ads from prop other ad pack programs that you'll eventually need to join too. You don't qualify for referral commissions until you pay for a gold membership. If you opt out of your gold membership plan, you get kicked out of MAPS. The promoted ad packs programs are mostly ad pack Ponzi schemes. The Bottom Line: This an unsustainable long-term program that will fizzle out as soon as member recruitment falters. Stay away. I’ve reviewed much more legitimate companies that will show you how to build a real business online. Click here to see my top recommendation. Ryan Hauser introduces Mastering Ads Profit System as a new revenue share system that can make you lots of money real fast. Shown below is the initial sales page video you see when you enter the Mastering Ads Profit System (MAPS). Is this system all that Ryan hypes it up to be? MAPS is a platform that offers its members various landing pages, banner ads and most importantly, affiliate links, so that they can promote a variety of products listed on the site. Technically, it’s free to join MAPS and become a basic member. Here, Ryan asks you to join three revshare ad pack programs. The programs consist of Traffic Network Takeover (TNT), Website Traffic Factory (WTF), and My Paying Ads. Ryan also introduces FortAdPays and AdsPayPro in his enclosed video, but the website provides no links to them. Ryan mentions that each of these Step 1 programs will cost $20 to join. To join, you end up purchasing $20 in ad packs. 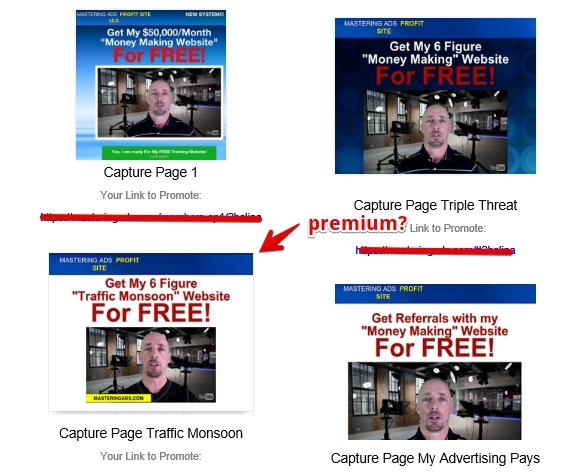 After you join and purchase the revshare ad pack programs noted in Step 1, Ryan introduces you to additional like-minded programs called LikesXL, Traffic Monsoon, and MyAdvertisingPays (for those outside the USA). 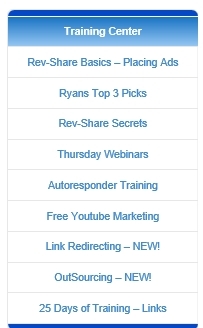 You are encouraged to join these revshare ad pack programs; in joining, you need to purchase $50 in each program’s ad packs. At this point, you’ve paid at least $160 for ad packs across 5 platforms. Once you’re done with these two steps, Ryan takes you to Step 3. Here, you are asked to sign up for several different payment processors, including Solid Trust Pay (STP), Payza, Coin Payments, and Paypal. If you think that signing up to and paying for programs is now over, think again. After you’ve completed those first three steps in MAPS, Ryan introduces something else you can pay to join. So far, Ryan says that you’ve enjoyed “free” membership in MAPS. However, if you start a Gold Membership in MAPS, you’ll get access to additional training in revshare program promotion, premium banner ads and sales pages, etc. You’ll also qualify to earn referral commissions from people you refer to MAPS. The Gold Membership itself costs $10/month. So, is the MAPS program a worthwhile investment? I say no, and here are my reasons why. 1. The “products” that MAPS offers are scams. 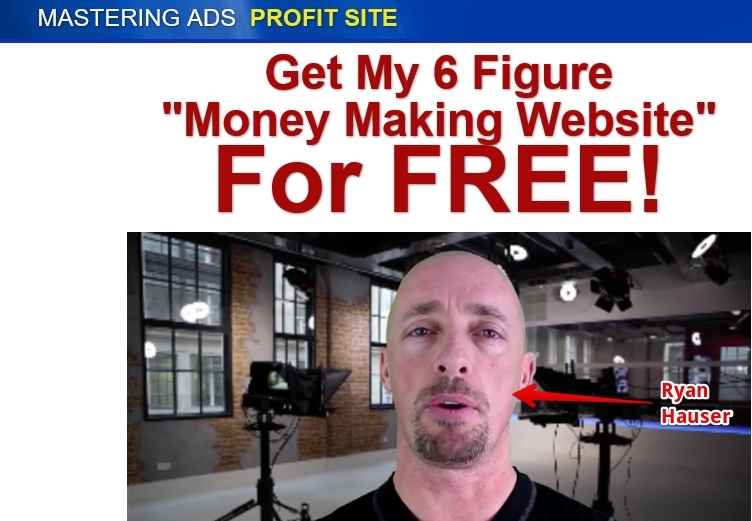 We’ve reviewed Website Traffic Factory and found it to be an ad pack scheme where the majority of the money you earn comes from member recruitment and not product sales to actual customers. TNT is the forerunner of WTF and almost its exact same clone. All the other promoted products are ad pack Ponzi schemes that rely on referrals, not actual sales. As for the programs themselves, they all have you promoting other ad pack schemes through your purchased ads. You are caught in a never-ending web of ad pack programs. 2. Once you go gold, you can’t quit. Ryan explains that once you upgrade your ‘free’ membership to the gold membership plan, you can’t back out of the gold plan without being completely kicked out of MAPS. So, if you’re hoping to just try the membership upgrade for a month or two, forget it. Once you get kicked out of MAPS, all the money that you paid for your ‘free’ membership ad packs will also disappear. 3. The “premium” sales pages are anything but. 4. The trainings are sub-par. Ryan claims that his trainings will help you make conversions and commissions happen and lead to massive referrals. However, when you open these trainings and listen to them, you learn very basic information like how to set up a link redirect, or how to post videos to YouTube. Such trainings aren’t going to win you massive numbers of customers or conversions. There might be a higher caliber of training in the Gold Membership area, but it’s hard to say based on the low quality training found in the MAPS free membership area. And if the premium sales pages are any indicator, it doesn’t appear that you get better quality stuff once you upgrade. 5. The entire MAPS platform is a referral center. I’m going to bet that MAPS is functioning as one big referral center for Ryan so that he can collect commissions from sites like WTF, Traffic Monsoon, etc., once he recruits people into those systems. That also explains why he wants members to not only join those sites, but to immediately buy ads from them. Because the majority of ad pack scheme sites kick up referral commissions once recruited members purchase ad packs, it makes sense that Ryan touts buying ad packs as a condition of moving through the three steps within MAPS. Our verdict: Avoid MAPS at all costs. MAPS is a bad program to get into because, once you do, you can’t just back out and get your money back. Also, once you’re all in, you’re stuck paying at least $10/month on top of all the money you spent on your various ad packs. These adpack buying schemes are just the HYIP ponzi schemes of the 2010s. The FTC has shut down these programs in the past and it’s only a matter of time before they get involved again. These are not legitimate business opportunities, but thinly veiled ponzi schemes that WILL eventually collapse. Instead, I suggest learning how to build a real business online. I’ve Tried That has been reviewing products since 2007. In that time, there’s one program that stands above the rest. It’s free to get started, has no ridiculous hidden charges, and will help you build a sustainable income from home in a legitimate industry. Click here to see my top recommendation.